My mom has a pasta machine. I don't remember seeing her use it. I do remember borrowing it though. When I moved away from my mom, I didn't get to borrow her pasta machine anymore. I decided after trying to roll out pasta with a rolling pin, that I needed a pasta machine. 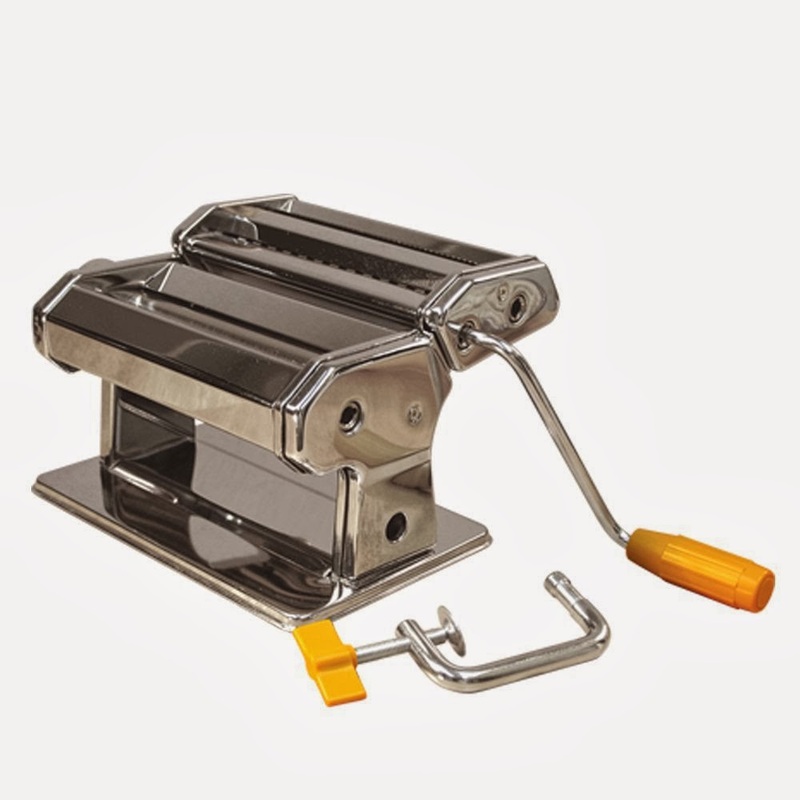 I purchased a pasta machine from Bed, Bath & Beyond near my apartment for $20. Since we now eat homemade pasta and ramen noodles, it seemed like a very good investment. You can also buy it from Amazon here. Why use a machine instead of a rolling pin? Let me count the reasons for you. 1. Dough is rolled all the same thickness. 2. Pasta/noodles are all cut the same. 3. A lot easier than rolling it out. 4. Faster than rolling it out. 5. My patience isn't tested along with my muscles. I have used my pasta machine to make tortillas, crackers, pasta, and ramen noodles.